Are you tired? Are you weary? One more weekend, six shopping days, and less than a week before Christmas Day. 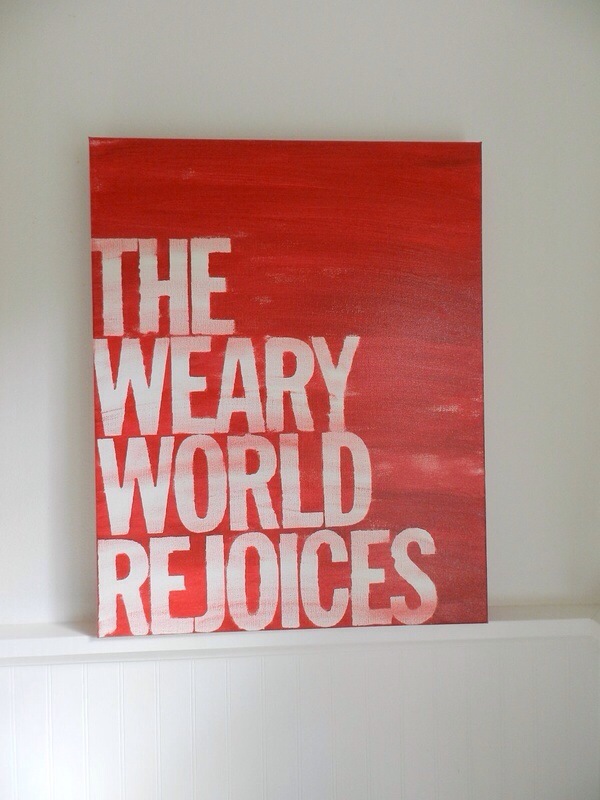 Weary is the common word of the season. It would be a perfectly fitting word for a particular day, just this week, in my life. In the Bible God speaks to Elijah and to Job in hushed whispers, a still small voice. The voice through that student who feels safe in your presence, or the one who shares relief in a completed project, or the one that makes ever fibre of you want to reach out and embrace them with a good ‘ol Mamma hug (but you resist because that is so not job appropriate). During this crazy, long, tiring week I am thankful that God decided to whisper in hushed tones. Through that still small voice of students who try so hard, who are filled with anxiety, who have been so misunderstood for so long that they rarely risk uttering … a whisper. But, when we are bone tired weary, that can be the perfect opportunity to cease … cease the movement, cease the planning, cease the talking. In our ceasing of movement and noise, our ears are then attuned to the smallest sound, the stillest voice. On this particular, pre-Christmas, weary day, I came home rejoicing. God will do whatever is necessary to get our attention … even whisper.